I need a dish to take to a country potluck. Delicious but not showy. Moderate amount of meat ok. Not looking to upstage anyone. But would still like something interesting. Go old school ambrosia. With like coconut, sour cream, mandarin oranges and tiny marshmallows. And obviously, grain bowls are all the rage. Quinoa salad and the like. Thanks. I particularly like the tortilla pie idea. If I were going for over-the-top, I'd do a pot of shredded Mississippi Roast with a bowl of chopped onion and cilantro, bag of street taco size tortillas, bottle of Salsa Valentina and call it good. 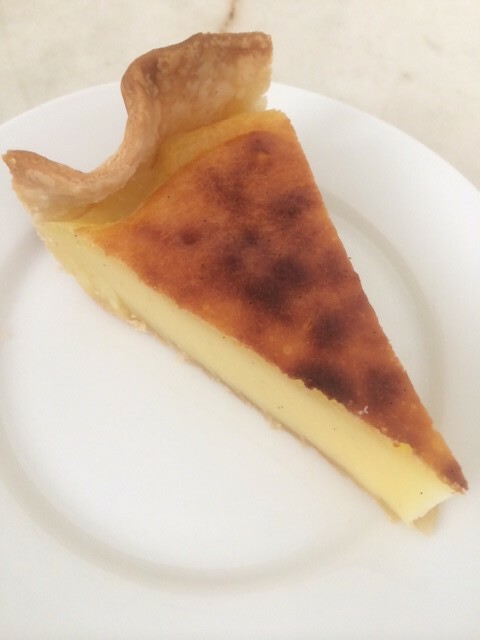 Flan tart,the French way...we don’t see enough of these anymore. Oh yes! I bought a slab at a country fete outside Paris several years ago. Suave and not too sweet. There were half dozen to choose from, all homemade. Similar to Daniel's suggestions, I like doing oil-packed tuna with beans, radicchio, and vinaigrette. A "bowl" with wheat berries, mushrooms, and caramelized onions can be nice as well. I'd do a strata. I made one for a potluck recently, and if it had been a contest, I would have won. Very simple, but delicious, and not so bad at room temperature (though better hot, or at least warm). So the big do took place last night. A get-together of country neighbors within a five mile radius, some old acquaintances, most new to us. 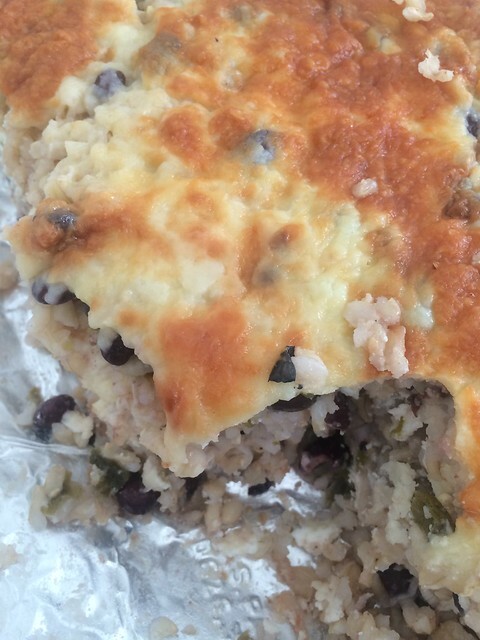 I finally settled on an old work-horse from A Diet for a Small Planet, Con Queso Rice: brown rice, black beans, green chilies, onion, garlic layered with ricotta, Jack and Cheddar cheeses, baked until oozy. Well received; noticed quite a few second helpings. A very nice evening with surprisingly well crafted and delicious offerings, pastas, casseroles, salads. No desserts. Maybe I'll go that way next time...and maybe everyone else will go sweet also. That's why they call it "potluck". I have a feeling, since the first one (pot luck) I ever went to was in Norther California, that there's another reason for said name. And: Diet for a Small Planet?!@!! Oy. Did anyone else bring alfalfa sprouts and mashed yeast? You got both those right. Our county voted pot cultivation and sales legal a couple of years ago, then recently voted it illegal. In the meantime, mucho dinero was invested in "gardening" as it is called. Now gardeners are suing the county for damages, et al. And re DfaSP, I remember my father visiting shortly after it came out. After skimming through my copy, he turned scarlet and sputtered, "Do you know what this is espousing? Do you realize it is promoting vegetarianism?" You'd have thought he was talking about cannibalism. Actually the dish I made is one of its lush recipes, about as far from sprouts as you can get. Probably more calories (and maybe as much protein) in a serving than in a half-pounder cheeseburger. Also the head of a private fire-fighting company who described an upcoming encampment of firefighter enlistees. These are all recent veterans from Afghanistan and Iraq, all trying to resume civilian life and all fighting demons. This company gives them a structured environment, purpose, training, sprit de corps, support for personal success. They will be bivouacked in the town (old school) ball diamond, and their services made available free to the community: brush clearing, tree felling, wood chipping, debris burning.